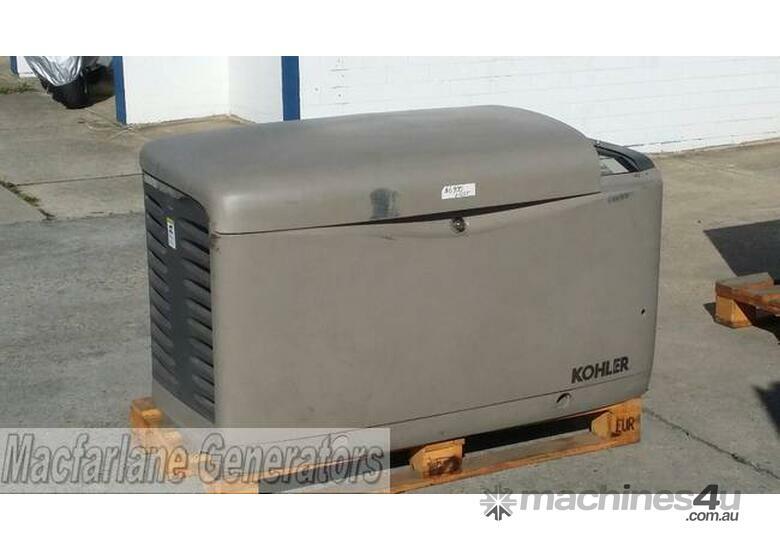 This well presented Kohler Model 20RES gas generator was delivered new by Macfarlane Generators in 2012. Showing only 300 hours of running, and being freshly serviced, it is well suited to a Prime or Standby power application such as a residential or commercial installation where a single phase only is required. 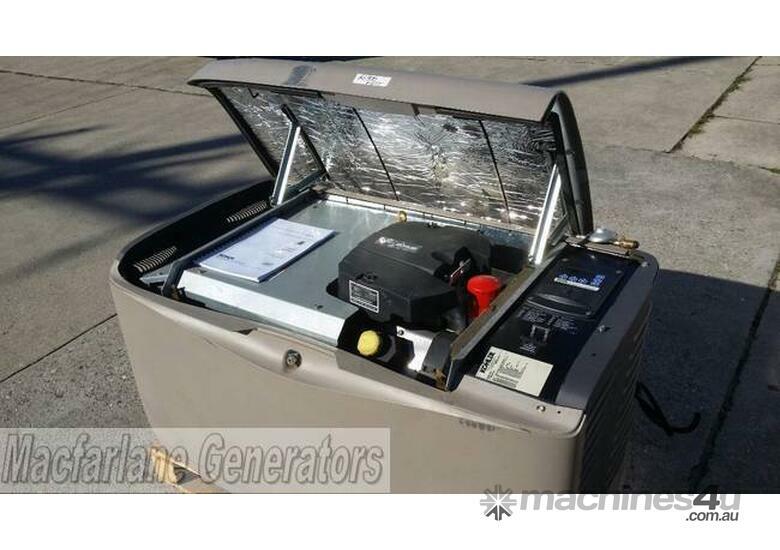 Suitable for off-grid residential generator back up. Engine and alternator mounted in a weather protected, sound reduced canopy rated approximately 73dB(A) 7mtrs. Battery pack heavy duty 12 Volt. Automatic remote/manual starting. Residential Digital Controller (RDC) displaying generator voltage, engine temperature, run hours, battery voltage. Engine protection for low oil pressure, temperature, over-speed. Generator mounted 63 Amp circuit breaker.